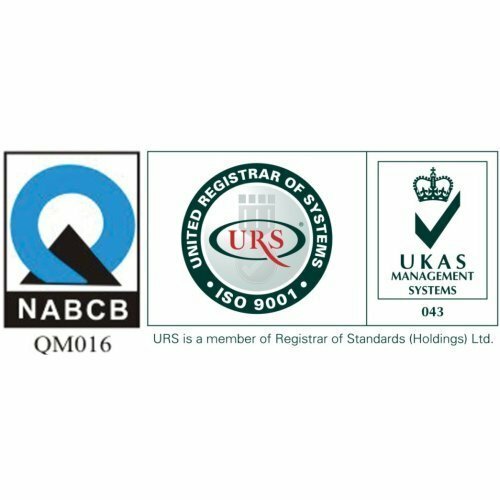 Since commencement, we have given utmost importance to the quality aspect of the offered range of products for which we have succeed in achieving ISO 9001:2008 certification from the government in 1999. Our procuring agent ensure that all the raw material used to manufacture these are procured from trusted vendors only. Post production, these products are tested on the basis of various quality parameters by our qualified team of professionals making uses of advanced machines and equipment, to ensure their flawlessness and compliance with set industry standards and quality norms. Being a customer-focused firm, our organization aims at meeting the maximum contentment level of the clients in the best possible way. Out team ensure that all the products offered by us manufactured with utmost precision using high grade raw material, in compliance with thew industry set quality parameters. Moreover, our professionals maintain a cordial relationship with the valuable patrons to understand their exact requirements and serve them accordingly. A team of deft quality controllers rigorously examine the manufactured products and ensure that only flawless goods reach the patrons hand. Further, we ensure that the ordered goods reach the clients' preferred destination within the scheduled time-frame for their maximum satisfaction.